Fortunately, here is the definitive version at last, restoring the unvarnished truth of what is another triumph of … Lucky Luke! Wow. 70 comic albums which I think is Cinebook’s longest running series. 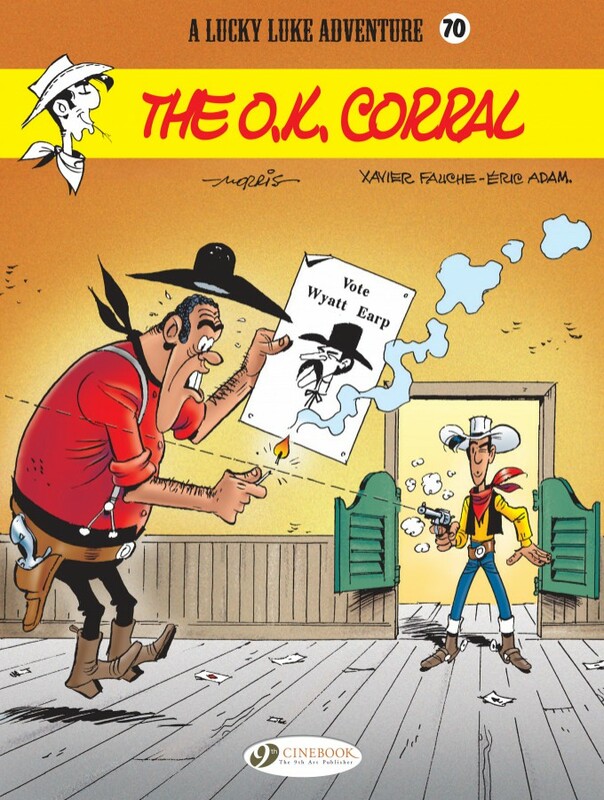 That is an incredible achievement and as I have said before, it opens up the world of Lucky Luke to a whole new generation –plus readers who have only seen five previous English language editions appear (in the 1980s). What can you say about this series, the writing and the art that has not been said 70 times already?! Remembering that I never liked Lucky Luke to start with it is surprising how fond I’ve grown of the character. Not your serious Western and definitely not Blazing Saddles style Western –a bit more like Support Your Local Gunfighter/Sheriff. Considering the UK has nothing to really encourage the comic book interest of youngsters all I can say is thank heavens for Cinebook, Lucky Luke and their other series!! Seventy!!!!??? Oh my stars and gardens! I've only got four.